Departing regularly from Portobelo, Panama for a relaxed, authentic sailing voyage to Colombia via uninhabbited San Blas Islands or visa versa. Ave Maria, a classic 50′ Offshore sailing ketch offers comfortable shared cabins for the 5 day, 5 night inclusive passage. It is an awesome, budget adventure of epic proportions. On a great, safe, boat sailing from Panama to Colombia via the San Blas Islands or visa versa. 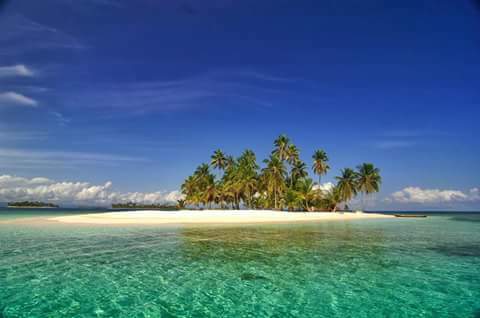 Relax as we island hop through the coral reefs, azure waters and coconut palm lined beaches of San Blas. good fins, masks and snorkels for your use. inflatable dingy, double air bed, hammock etc. interaction with the locals if you choose. a beach BBQ and Bonfire. every person has there own comfortable bed. always taking the safest most comfortable route. Sailing from Panama to Colombia 30 Dec; surcharge of $75 per person applies for this departure.